I must say that I am a proud aunt to an amazing niece, Alex, who is currently attending graduate school at Marquette University. She is studying to be a nurse, which warms my heart. Alex has always been a compassionate young lady and one day very soon she will be a fabulous nurse. 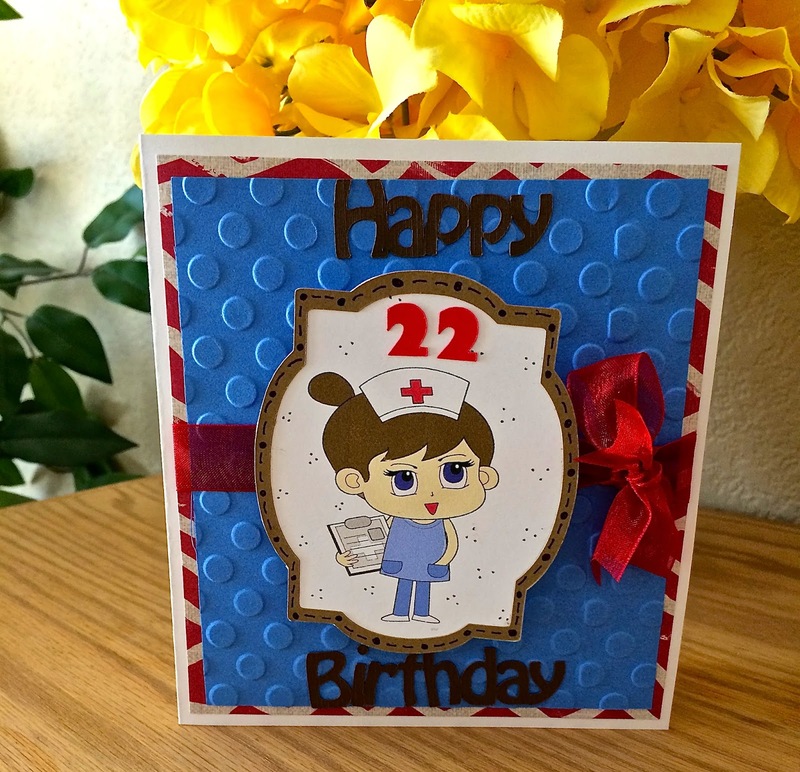 Recently Alex celebrated her 22nd birthday and of course I had to make her a cute card with an Action Wobble. Today I want to share this card with you as I post as a member of the Action Wobble Design Team! 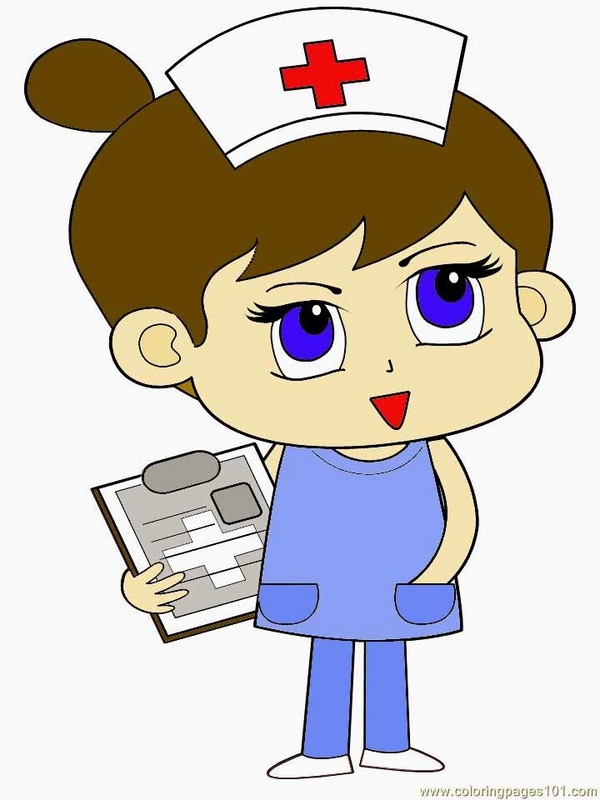 This card started as a free, uncolored, nurse image coloring page character. It was then colored in Photoshop to give it life! With a few embellishments the card was finished. The Action Wobble is under the image of the nurse. 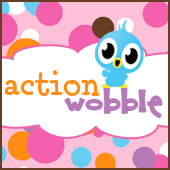 Saying "thanks" with an Action Wobble!